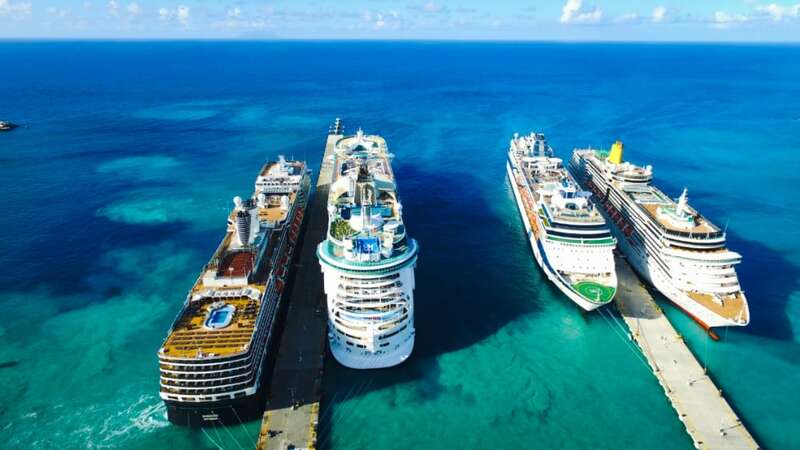 Cruise passenger numbers are on the rise at the popular cruise port of St. Maarten. The well known Caribbean destination had an epic 2018 with a higher number of visitors who arrived via cruise ships. We’ve got some great news about one of the most popular cruise ports in the Caribbean. If you’re an avid cruiser then you’ve likely already visited St. Maarten, maybe you’ve been more than once! The port which is located on the Dutch side of the island at the capital of Philipsburg had a really good 2018. The year saw an increase in passenger numbers with the exact figure of 1,597,101 which is impressive especially after a tough 2017 due to major Hurricanes. When compared to 2017 there was an increase of 29% but what’s even better is a 30.3% increase during the more slower months of May, June, and July. These months are slower as many cruise ships will head back over to Europe or other continents for the summer season. September was a huge month for the St. Maarten cruise port with a 3,419% year on year increase. A total of 87,564 cruise passengers went through the port for that month which is great for the local economy. Just think, with all the even larger cruise ships on order right now those numbers will keep going up. 2018 was a great year for the cruise destination which is located in the eastern Caribbean. With more cruise visitors than ever experiencing the island let’s hope it continues through 2019. Hurricane Irma devastated the stunning island in September 2017. We posted about here on Cruise Hive and it was hard to see the images of destroyed beaches and damaged buildings which were full of cruise ship tourists days before. Major cruise lines including Carnival Cruise Line and Royal Caribbean moved quickly to help the people of St. Maarten by sending much-needed supplies and even providing ships for relief worker housing. There was a total of 489 cruise calls from cruise ships operated by cruise lines like Carnival, Royal Caribbean, Celebrity Cruises, Marella Cruises and more. It’s been great to see how the cruise lines and Caribbean islands have come together to help grow and rebuild to what we now see this year. We hope to see you all at St. Maarten in 2019!